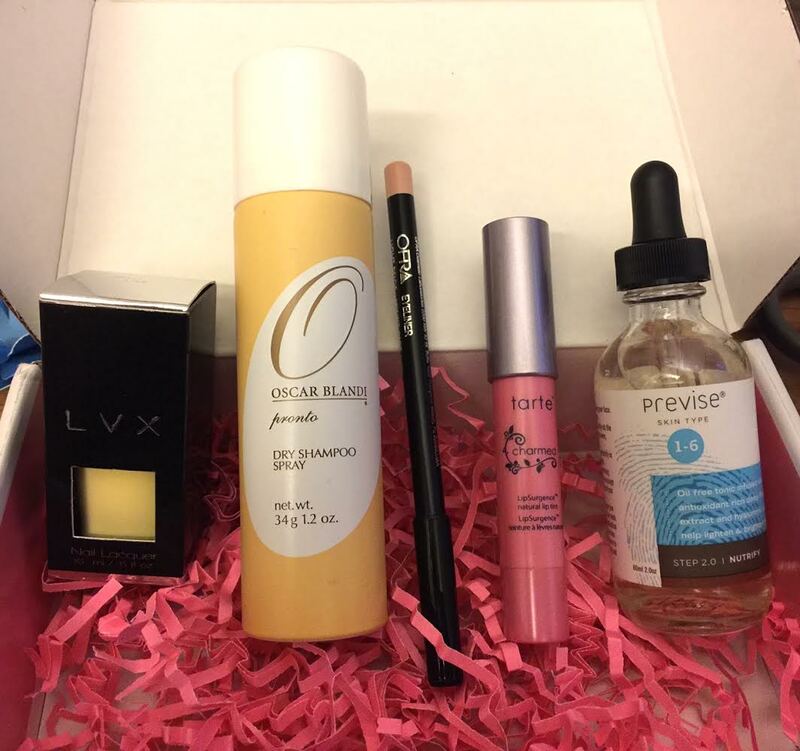 Oscar Blandi Pronto Dry Shampoo Spray – it’s tiny! I’m pretty sure it has one use in it and that’s about it. It worked fine. Didn’t leave any white stuff drifting around. Gave my hair some additional texture (that it really doesn’t need). But it doesn’t smell very good. I’ll keep looking for a different dry shampoo for the 2 days a year that I may actually be far enough from civilization to be able to take a shower. It really doesn’t happen often. Ofra Eyeliner in Light Beige – Ok, I know that this is supposed to be used on your water line but it is pink like my skin, not white, and so it in no way helps to pop my eyes. It went on fine, held it’s line nicely, but there is no reason to ever use this shade. Maybe I can use it as a lip pencil when I have a super super pale color? Update Here- Paige stole this from me, and it actually works on her skin tone, but it still comes out bright. 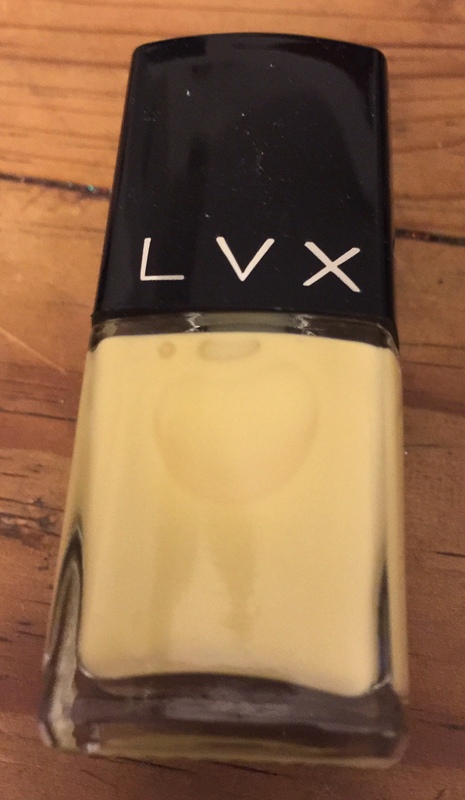 LVX Lemondrop Nail Polish – Another color that I can’t handle. It’s not really yellow and it’s not really cream. I could use it for Easter egg decorating possibly but it isn’t coming anywhere near my finger tips again. It made my skin look weirdly chalky and yet almost too tan at the same time. It is very sheer and to build up to any semblance of color takes way too many for me. I stopped at five when I couldn’t get it to dry anymore. Previse Nutrify Step 2 – well, i don’t have step one or step three like it says will be the most beneficial so this is a little on the useless end to me (I’m a sucker for a complete all-in-one, or a sample that has all the steps included even if they are smaller portions). There is a whole lot of tonic here, especially since you only use 10 drops at a time. It was fine. Soaks in super fast and isn’t greasy. Nothing earth shattering. I’m not exactly sure that I can tell any difference whatsoever. It certainly isn’t taking the place of a moisturizer. 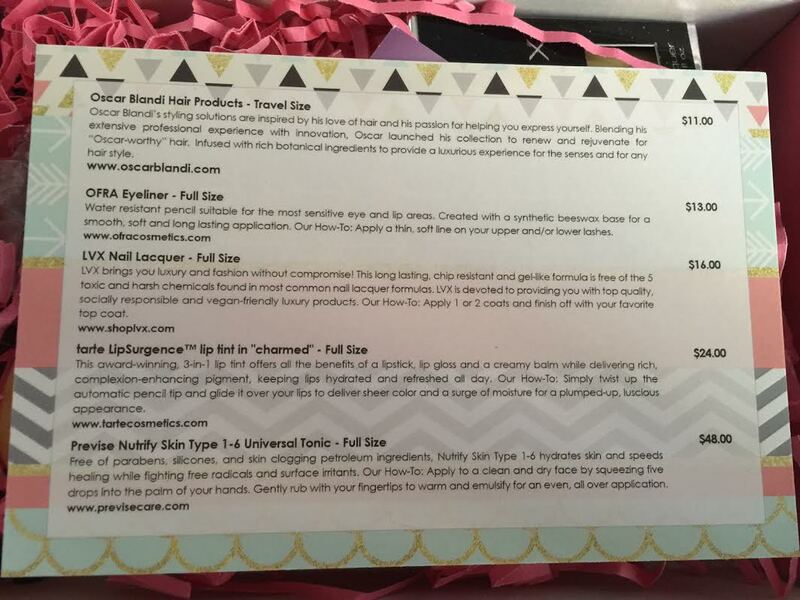 Needless to say, I am unimpressed again this month- both with the value of the box and the products with in. 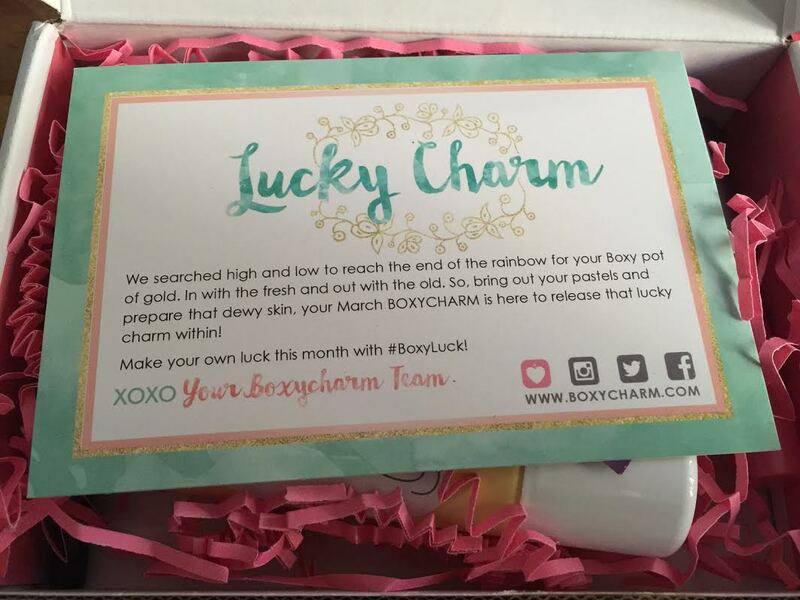 Cant wait for my first Beauty Army Box!